I grew up as a child of the 70s. No, I was not wearing bell bottoms or syncing my dance moves to John Travolta (I did that when disco got cool again in the 90s). 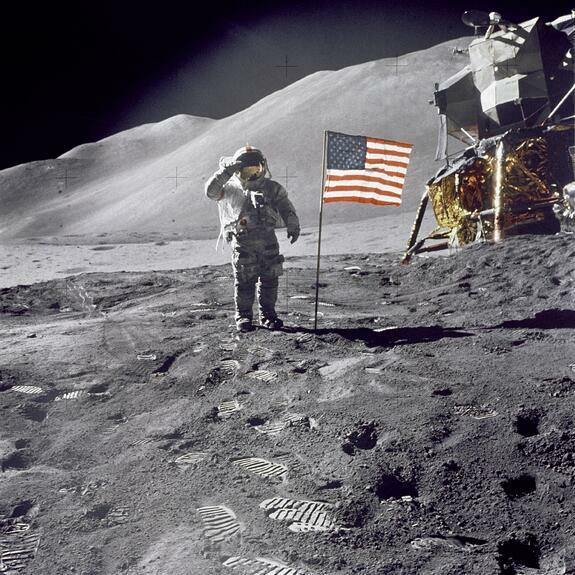 By the time I had been born in 1971, humans had stepped onto another celestial body a few times over. We had NASA fever in our household and Walter Cronkite narrated the saga; his voice hanging in the ether on hot summer nights. As a kid, I gazed at the stars and the moon with a keen sense of wonder. Madly leafing through NASA picture books, I dreamed of the future. I watched Star Trek and went to movie theaters with the throngs of humanity to see science fiction epics like Close Encounters of the Third Kind and Star Wars. Every bit of technology in those shows seemed totally plausible to me as a wide-eyed, imaginative kid of the 70s. After all, WE did that! Ten years before I was born, President John F. Kennedy ambitiously and audaciously challenged Congress and our nation to “[achieve] the goal, before this decade is out, of landing a man on the moon and returning him safely to the earth." We did exactly that. before. THAT is innovation and entrepreneurship at it’s finest. So here we are; it’s 2016 and fire departments across our country are using iPads and mobile incident response software to track crew location and assignments. Several of us knew this was a possibility the first time we held an iPhone or an iPad in our hands. There was this “No Duh” moment that one day our strategy and tactics would be formulated and tracked on some sort of digital platform (In full disclosure, before I held an iPad, my idea of a "platform" was a concrete slab for Olympic divers or a landing pad for an Imperial Shuttle). But as the technology started to take shape so did our vision. We didn’t have a set of directions and NOBODY had taken incident command or emergency personnel tracking and put it into an intuitive consumer-facing platform. Previous attempts at digitizing mission critical information were, for the most part, abject failures when it came to split second deployment. We were told that it couldn’t be done and that there was no way that a traditional industry like the fire service would adopt computer-based technology to save lives. According to the naysayers, the concepts of technology and life-saving were mutually exclusive. However, our beloved fire service has historical roots that run deep in America going all the way back to Ben Franklin, one of the earliest innovators of our country. And now, the impossible, is totally plausible and happening today in the American Fire Service.